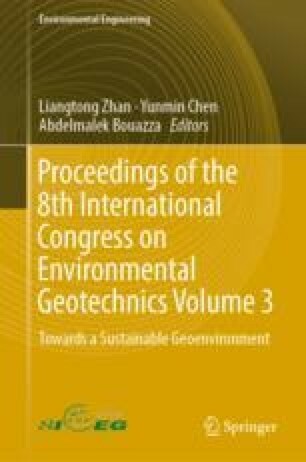 This paper presents the first study on CO2-EOR potential of the LH11-1 oilfield offshore Guangdong Province, China. LH11-1 field is a reef heavy oilfield (16–23° API), and overall development efficiency is not ideal. In this study, the CO2 flooding potential in LH11-1 field was evaluated through a compositional simulation using the Petrel and CMG-GEM tools. A detailed fluid characterization was performed to accurately represent the reservoir fluid. 1D slim tube and core flood simulations were interpreted to understand the physical mechanisms of oil recovery. A reservoir geological (structure, facies and fluids) model was constructed in Petrel system and the model was calibrated using manual and assisted history matching methods. The natural depletion and continuous CO2 injection scenarios were simulated by GEM. Results indicate that the minimum miscibility pressure (MMP) of crude oil in Liuhua field is approximately 20 MPa. Therefore, the mechanism of oil recovery by CO2 EOR in Liuhua field should be suitable for immiscible CO2 flooding. The continuous CO2 injection would recover an incremental 7% of OOIP in Liuhua field, and the CO2 storage efficiency is relatively high with more than 95.5% of injection CO2 has been stored in the reservoir which indicate an important significance for CO2-EOR and storage potential in offshore carbonate oilfield. We gratefully acknowledge the funding supported by open fund (PLC20180801) of State Key Laboratory of Oil and Gas Reservoir Geology and Exploitation (Chengdu University of Technology), the National Natural Science Foundation of China (No. 41372256) and the Key Logic project of Department of Energy, USA (No. K6000-797). We are grateful to Susan Hovorka, Seyyed Hosseini, Núñez-López Vanessa, Reza Ganjdanesh and other stuff in the Bureau of Economic Geology, The University of Texas in Austin for their support and help in all the technical applications of reservoir modelling and simulation.